E.T. The Extra Terrestrial Puppet with Interactive Electronic Modifications – What You Built! « Adafruit Industries – Makers, hackers, artists, designers and engineers! E.T. The Extra Terrestrial Puppet with Interactive Electronic Modifications – What You Built! 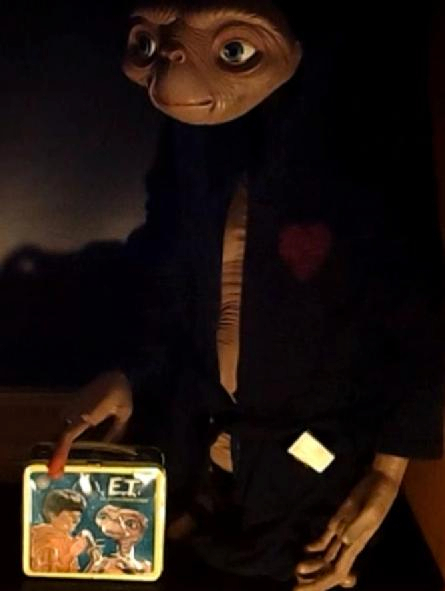 This ET is a NECA puppet that was modified with the following enhancements. Lunch Box – Purchased on EBAY. The lunch box holds all of the electronics and the sound bar. A small LED was added to the lunch box where the ET finger is. A 10mm LED was also added to ET’s finger in the NECA puppet. A motion sensor was added to the lunch box in the top left corner and each motion trigger will play 1 of 7 different phrases. The heart, finger lights, and audio are all programmed via the Arduino. Read more and watch a video of the project in action back at his site here. Comments Off on E.T. The Extra Terrestrial Puppet with Interactive Electronic Modifications – What You Built!